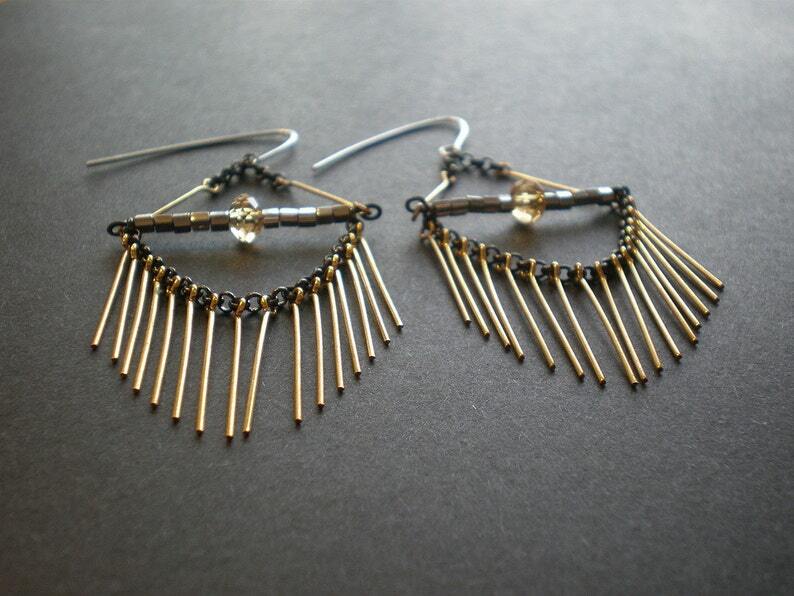 A row of gold-toned pins hang from an arch of black chain. A sparkling bar of seed beads and 2 more pins form a geometric triangle up top leading to sterling silver ear wires. You can bat your eyelashes without batting an eyelash! These will hang and dangle and bat until you stop moving. . and even then. . . . . These will come with rubber stoppers (not pictured). Wear these to Coachella and all the music festivals!